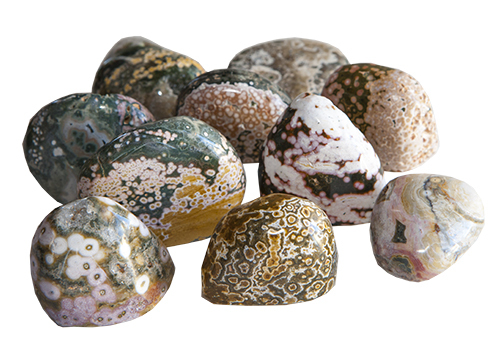 OCEAN JASPER is arty and colorful and no two are alike. They are simply beautiful. 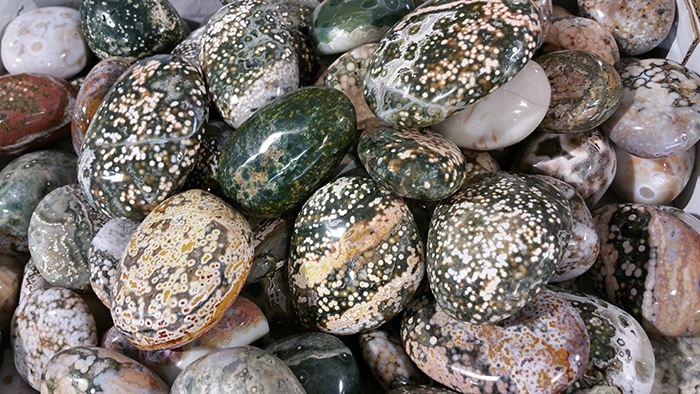 Mined in the ocean in Madagascar, where they were once on land but are now covered by water. I was told that within a few years we will not be able to get anymore. Ocean Jasper will be gone. Which is what makes them so exciting and special now. BONUS: they clear toxins out of your body. 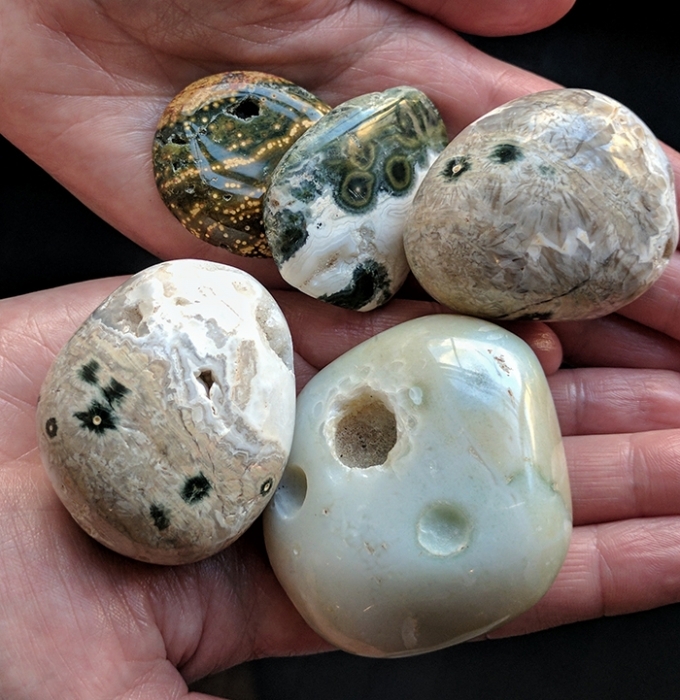 Ocean Jasper will only be on the planet for a little while longer, so get them while you can and place them anywhere - they are beautiful.